Our neighbor service representative Barb had the pleasure of speaking with Mary about the service she experienced at our St. Clair Shores pet center on 13 Mile Road and Harper. Barb told us that Mary had a lot to say about her pup's grooming experience, and it was all good! Mary told me that she thinks the St. Clair Shores store is wonderful. The managers are awesome, accommodating, and go overboard to remedy a situation to make sure things are perfect. There are always smiles on everyone’s faces. 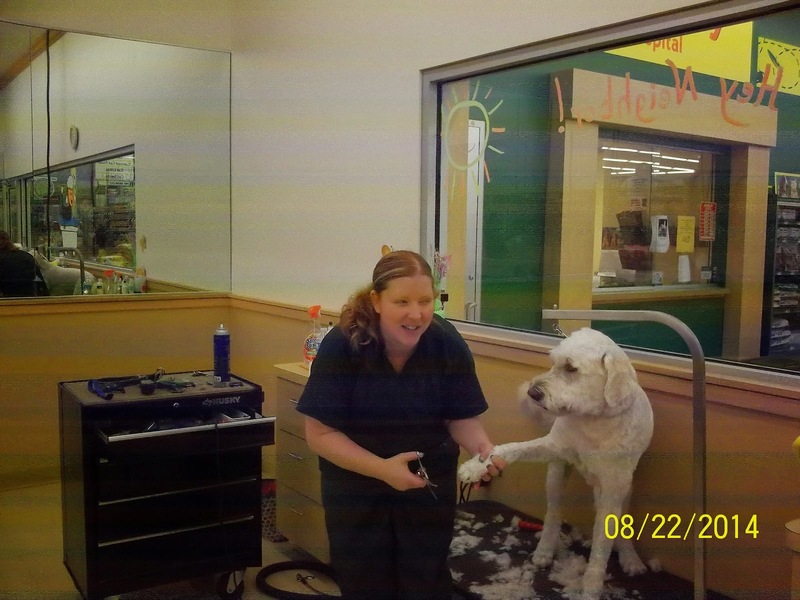 She also wants everyone to know that Kristi, her groomer, is beyond awesome with her dog, Brady. Brady had problems with groomers in the past and was afraid to get groomed. This caused Mary some anxiety, too! Mary called the store and spoke to the manager about this and was told that he guaranteed that Brady would like Kristi--and he does! Mary said that when they go for grooming Brandy can’t wait to get in the grooming and runs right up to Kristi. This makes Mary feel so much better about having her dog groomed and plans to do all her pet shopping and grooming at that store!